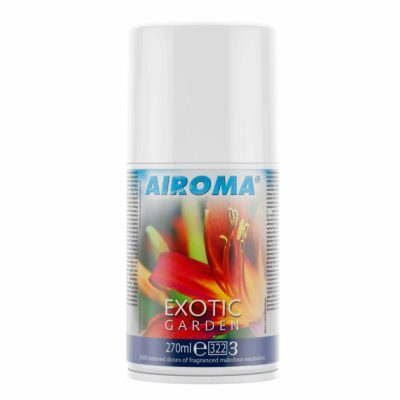 Freshness through fragrance and technology. 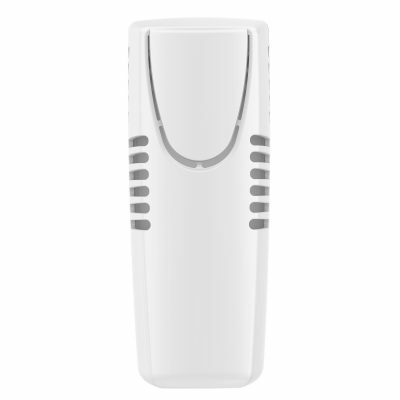 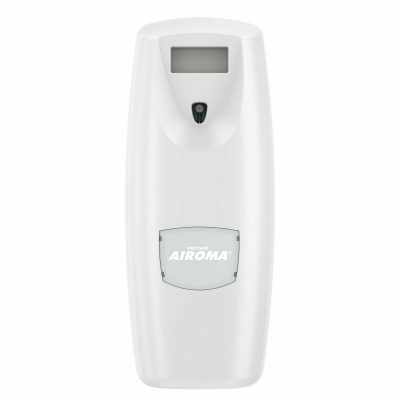 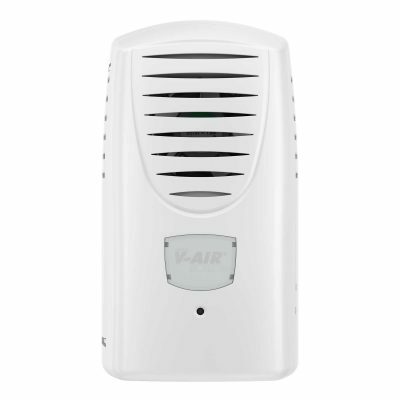 Airoma® is an automatic air freshener dispenser designed to provide facilities with regular small bursts of fragrance. 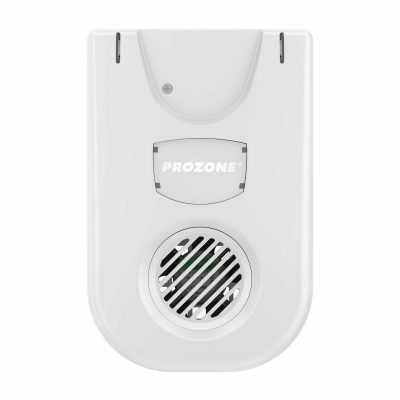 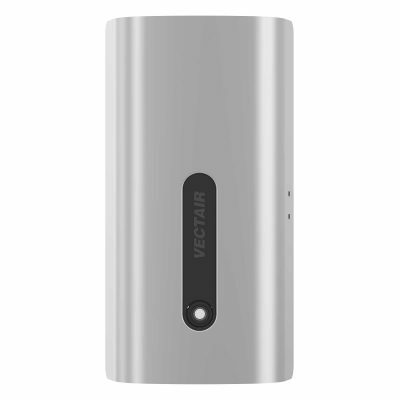 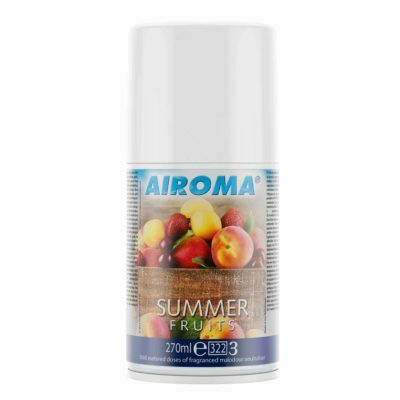 The air freshener dispenser provides flexible and easy to use programming options. 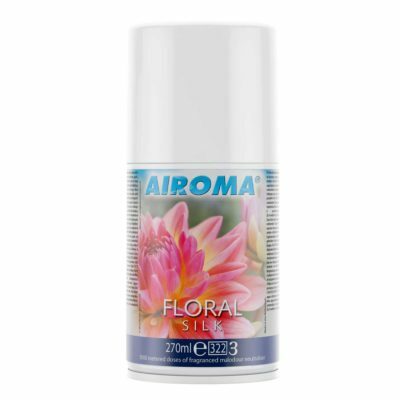 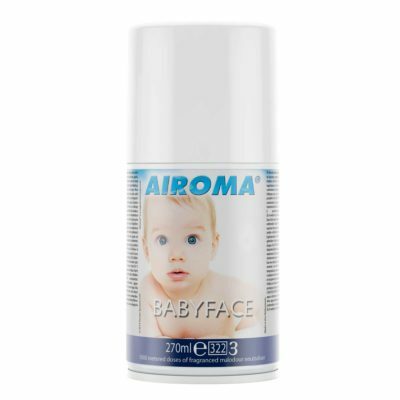 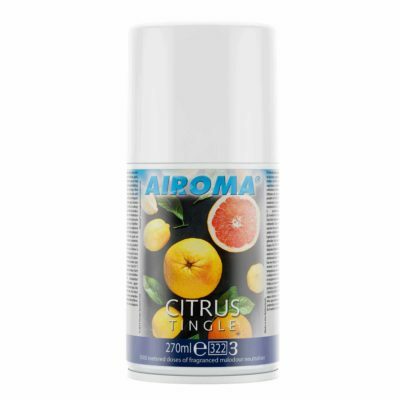 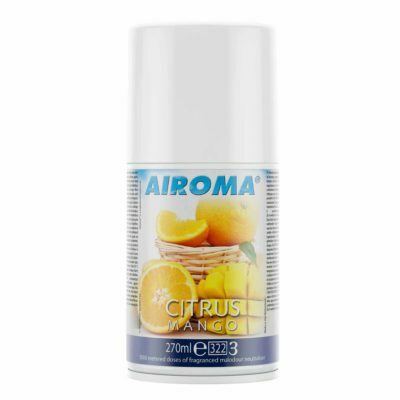 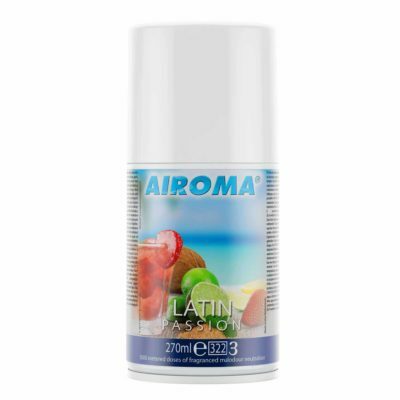 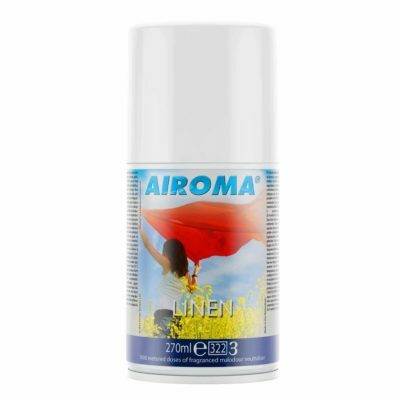 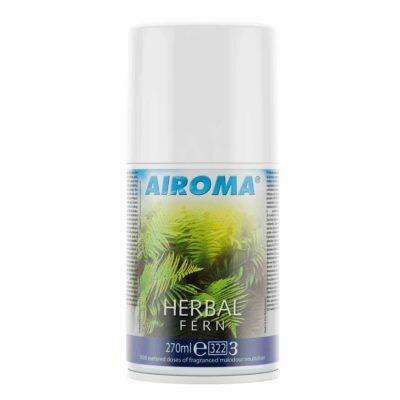 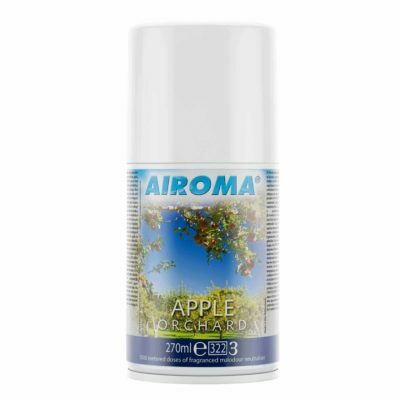 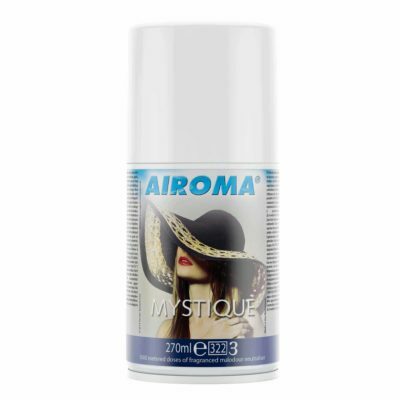 Airoma® Air Freshener Refills are available, with four distinct ranges; the ‘Classics’, ‘Fruits’, ‘Oriental’ and the ‘Airoma® Therapy & Spa’ fragrance ranges. 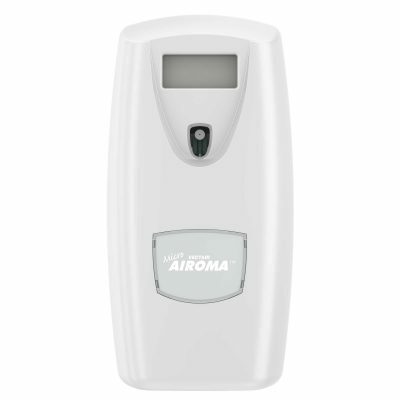 Patented automatic reset button: Automatically resets back to 3,000 sprays when a fragrance refill is replaced.